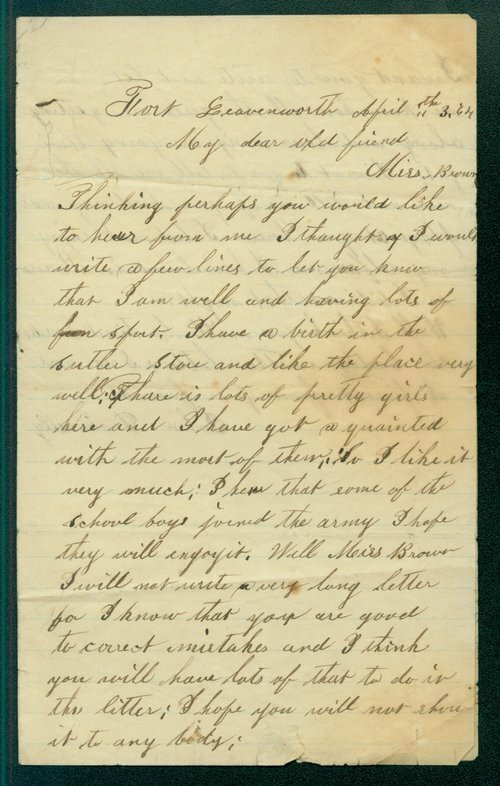 A letter written by John Donnelly from Fort Leavenworth, Kansas, addressed to Miss Brown, a daughter of John Stillman Brown, a Unitarian minister who lived west of Lawrence. Donnelly, apparently a friend of Miss Brown's, wrote how much he enjoyed camp life and asked for news from Lawrence. A searchable, full-text version of this letter is available by clicking "Text Version" below.